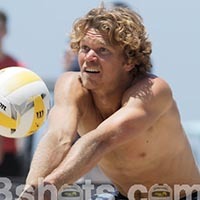 Frishman was a Libero at UC San Diego. He left the program with the second most digs in school history. Following graduation he played one year professionally indoors in Switzerland.